A private garden is nothing short of a sanctuary in the lap of nature. 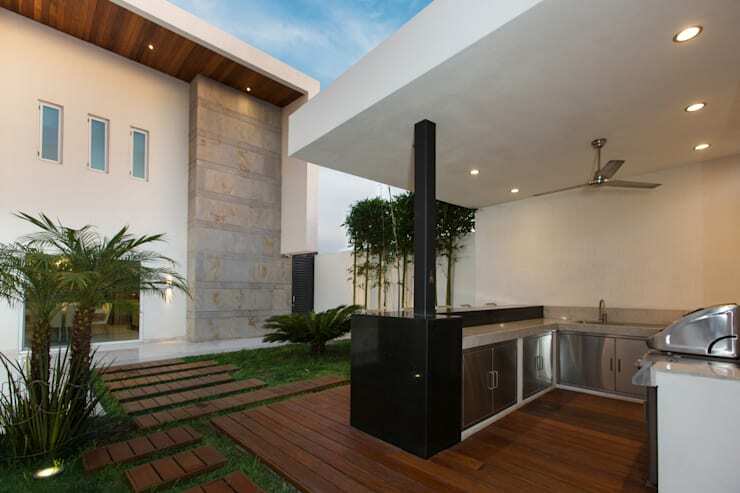 And a beautifully planned and designed garden can enhance the beauty of even the simplest home by leaps and bounds. So here we will show you 19 different ways in which you can add a unique touch to your garden, deck or patio. From landscaping and water features to garden lights, pergolas, fireplaces… take your pick and take your garden to a whole new level of designer delight. Welcome a layered look in your garden by using different materials like stone, gravel, wood, and water features to offer distinct visual interest at each level. Credit for this design goes to the landscape architects at Paul Marie Creation. 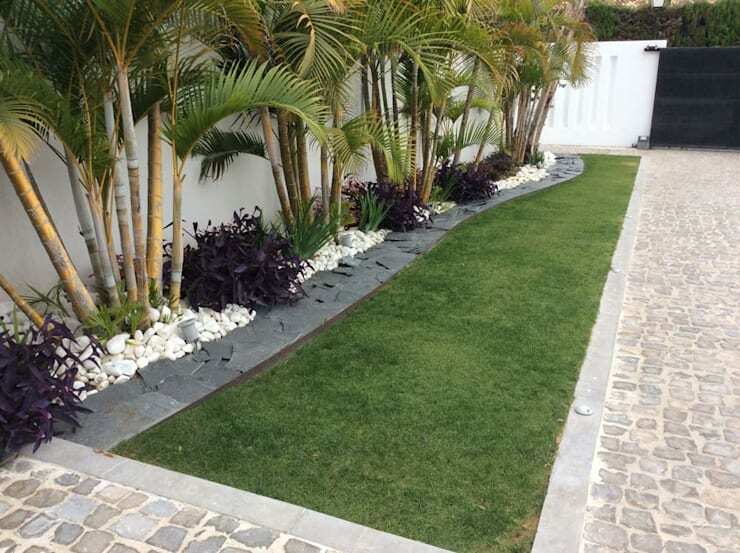 Something as simple as a neat and sleek stretch of green grass can look wonderful, when surrounded by pretty paving stones, colourful bushes, pebbles and lush palms, as we see here. 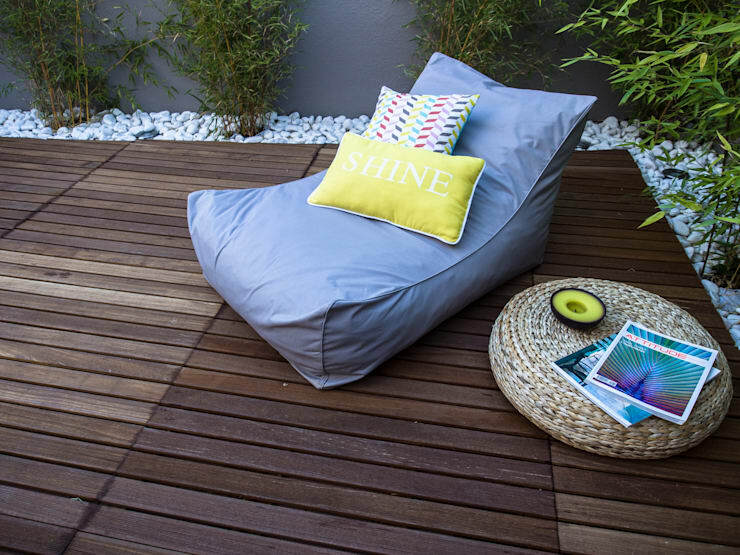 A wooden patio is a great idea for warmth and cosiness, and can look extremely interesting when interspersed with strips of grass. 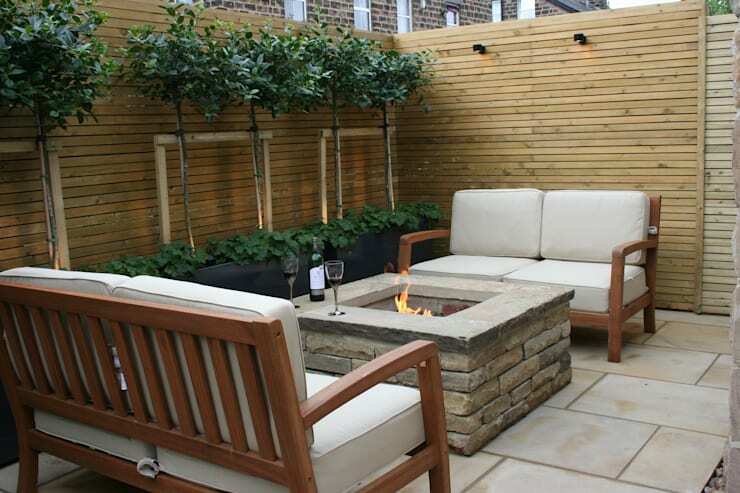 A sunken outdoor seating zone can add uniqueness to your garden, and look beautiful if you surround it with greens or colourful blooms. 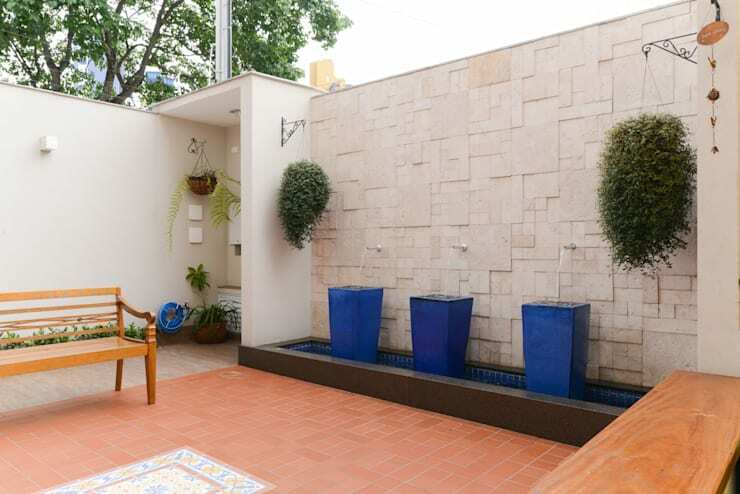 This sleek, modish and environment-friendly fountain can bring serenity to any garden and look amazing as well. You can use rainwater to work the fountain, if you want to conserve this precious natural resource. 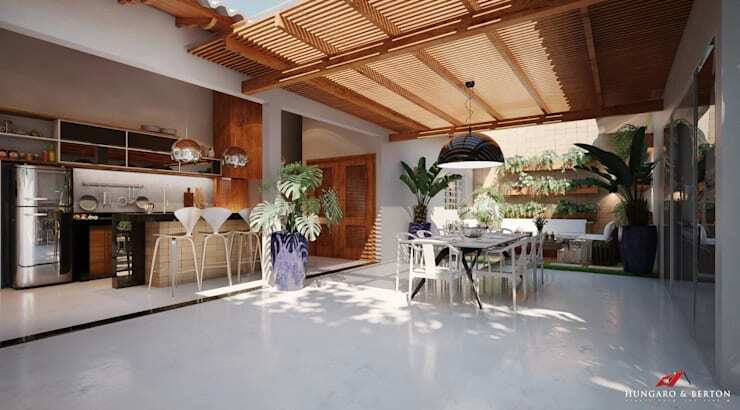 Put up a wooden, bamboo or steel pergola in the garden or patio for delightful dining experiences, and protection from unfavourable climatic conditions. Just introduce a comfy beanbag or sofa in your terrace or garden, and lose yourself in books while you sip on your favourite beverage. Enhance your garden’s beauty by introducing stone, concrete, plastic or cement planters which hold gorgeous flowers like roses, hydrangeas, dahlias and orchids. 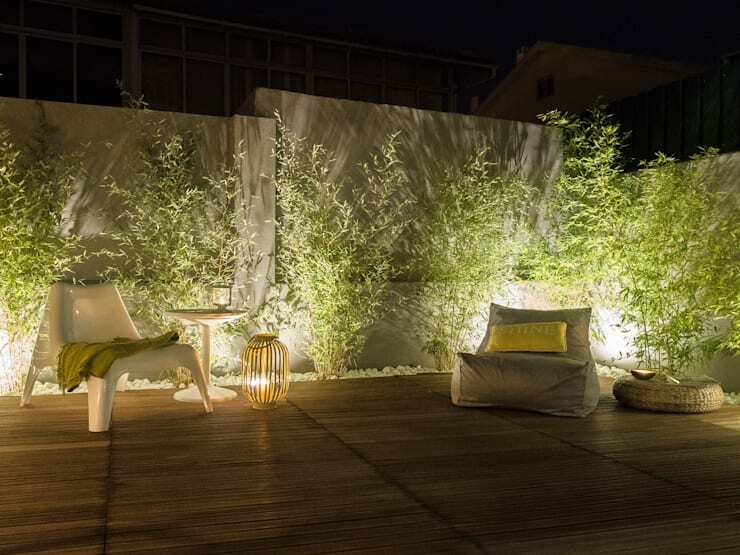 Artful and soothing lighting can change the look and feel of your garden dramatically, and make it easy to experience outdoor pleasures even after dark. 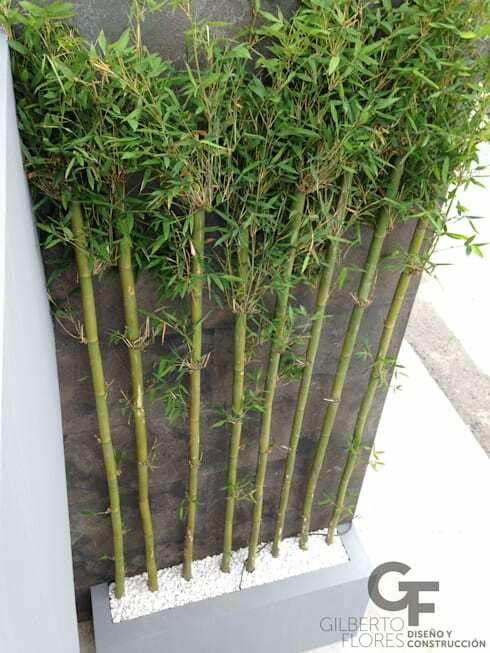 Arrange some tall bamboos along your garden’s boundary wall for a soothing and elegant appearance. They stay green throughout the year and hardly need maintenance. Don’t let the lack of space for a traditional garden put you down. 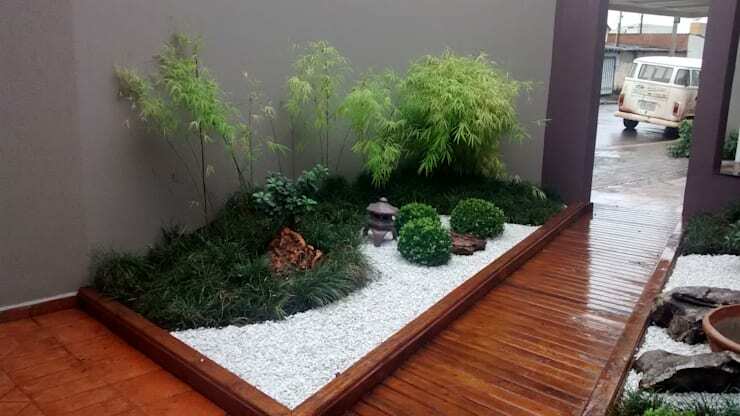 Go for a small but stylish Zen garden by putting together stones, pebbles, wood, and some shrubs. 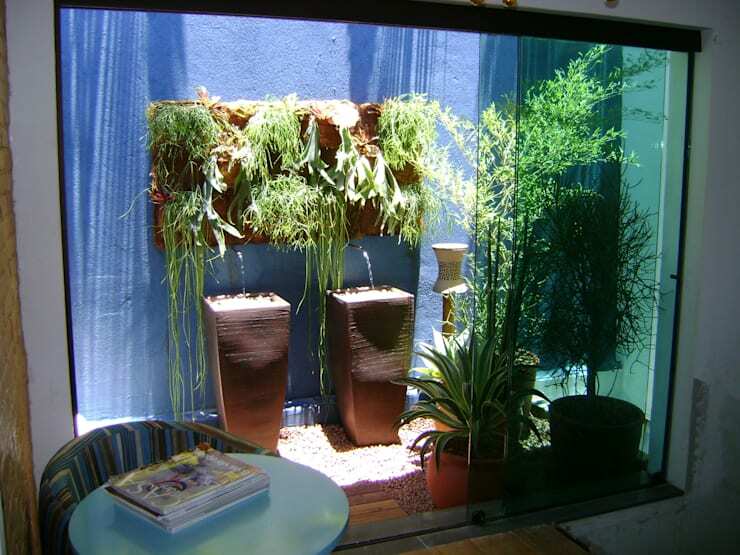 A green wall can be created in your garden or even inside with equal ease. Tall potted plants or a wall-mounted structure holding potted greens or creepers can make for an interesting vertical garden, without eating up floor space. 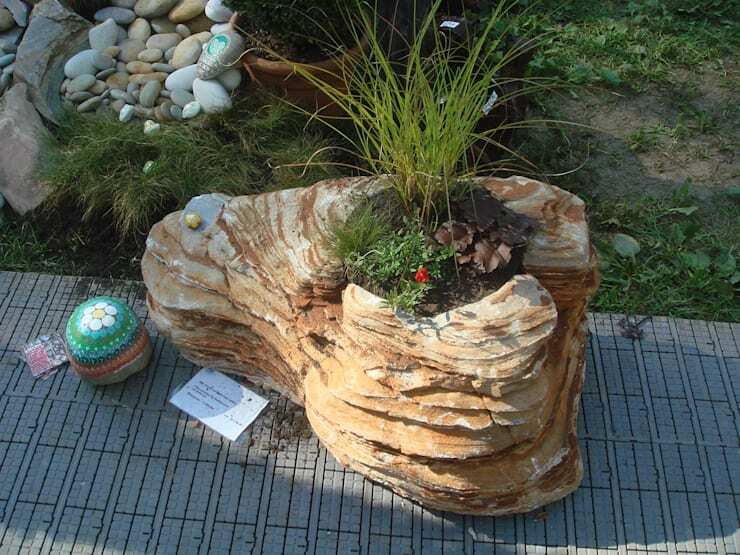 Check out this unique garden on a rock, which can easily be placed in one corner of your terrace or patio, for a very original appearance. Give your garden walls a whole new edge with natural stones in sober, neutral hues or bright ones, depending on the kind of atmosphere you desire. 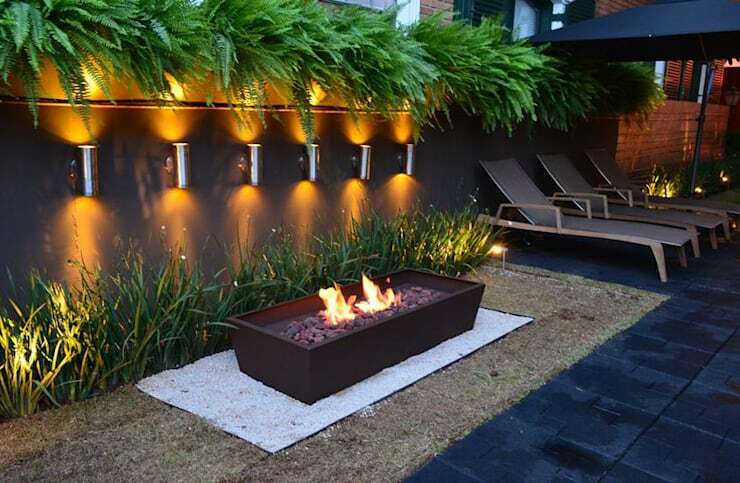 A stylish outdoor fireplace can make your garden warm and cosy on cold winter nights, and offer a camp-like feel. Choose from the ones run by gas or electricity or traditional wood stoves, depending on the look and convenience you need. 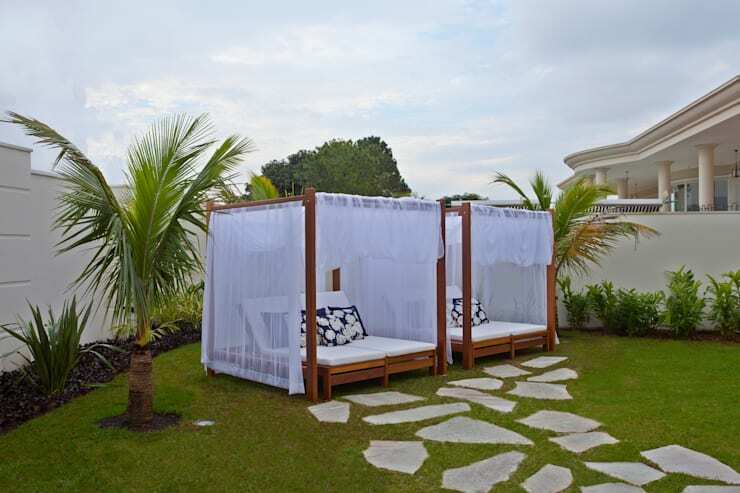 Get some quaint four-poster beds with sheer and dreamy drapes in your garden, if you are keen on sleeping under the stars. Magical as well as unique, right? Entertain guests or share happy moments with friends in the garden, by bringing in some cosy sofas or hammocks, and installing an elegant fireplace. 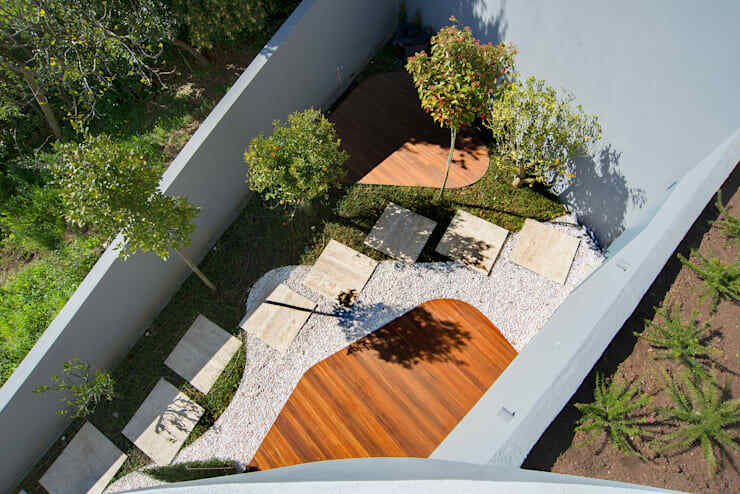 Use different materials like wood, pebbles or gravel and grass to create a picturesque layout like this one, by specifying various areas distinctly. The entrance to your garden should be as beautiful as the garden itself. 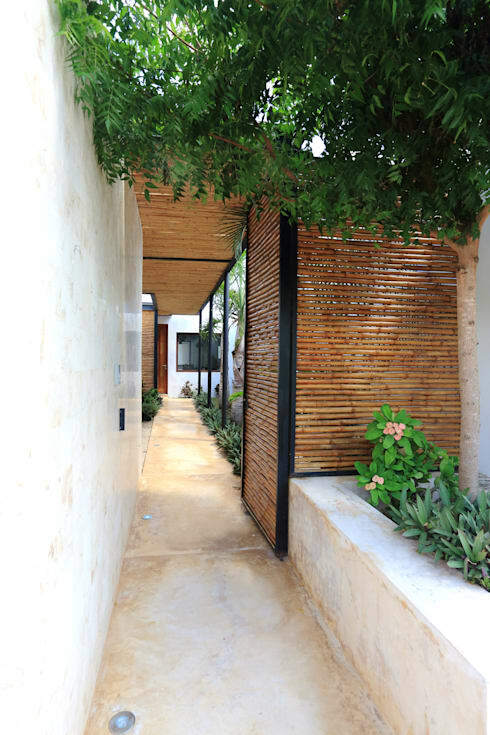 Use partitions or gates made from bamboo or wooden slats to acquire a rustic and earthy look like this one. 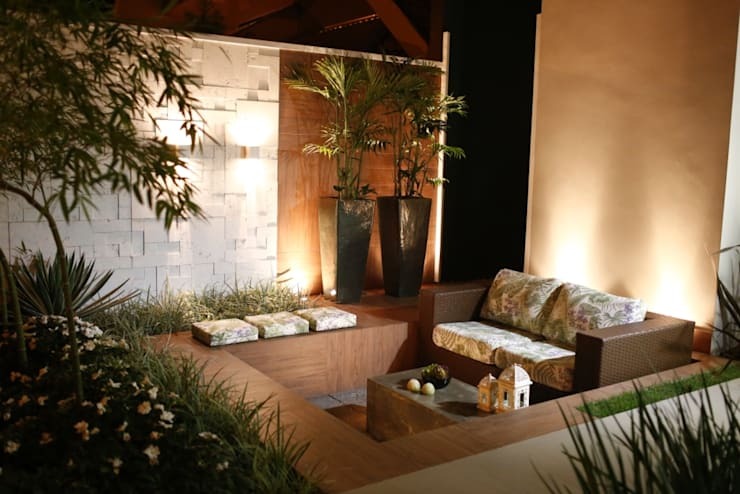 Impressed by the stunning ideas for your garden? Check out another story here - 9 Tiny Garden Updates For Tiny Budgets.